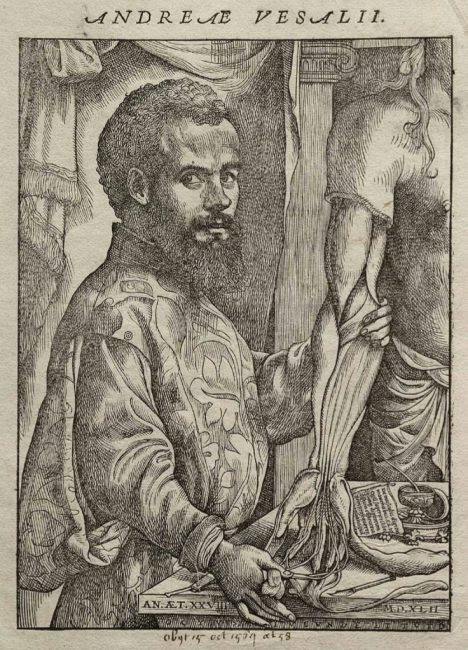 On December 31, 1514, Brabantian (in modern-day Belgium) anatomist, physician Andreas Vesalius was born. Vesalius is often referred to as the founder of modern human anatomy. 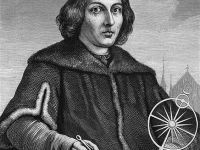 He is best known as author of one of the most influential books on human anatomy, De humani corporis fabrica (On the Fabric of the Human Body). Andreas Vesalius came from an old family in Wesel (the name Vesal still reminds of that), who emigrated early. His father was a Habsburg personal pharmacist at the imperial court of Charles V in Flanders. Vesalius attended school in Brussels, and from 1530 studied ancient languages and sciences at the University of Leuven, where he received his humanistic education. In 1531 he changed to medicine. Vesalius went to Paris in 1533 to study galenic medicine and anatomy with Miguel Serveto under Jacques Dubois (Jacobus Sylvius) and Johann Winter. 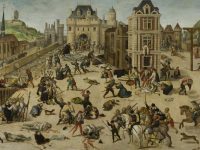 However, he was disappointed by Sylvius’ strict adherence to Galenus and by the unrealistic education at the university and left Paris in 1536 because of the Third War of emperor Charles V against Francis I of France. In Leuven Vesalius was able to carry out his first public corpse opening (section) in 1537 thanks to good relations with the authorities. At the beginning of 1537 Vesalius published his first philosophical work, the Paraphrasis ad nonum librum Rhazae, a study of the theories and methods of the Persian physician Rhazes (Abu Bakr Muhammad ibn Zakariya ar-Razi), who had lived from about 860 to 925, as a candidate of medicine (a degree comparable to a Master’s degree) in Brussels. He then went to Northern Italy. He received his doctorate on 3 December 1537; the following day he was appointed professor of surgery and anatomy in Padua. So he taught the next years in Padua. 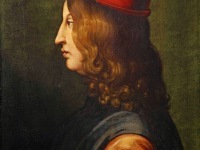 Later he went to Venice, where he had visited in 1537 and operated there in an excellent way on pleuritis patients. In recognition of his outstanding knowledge, Vesalius received a five-year contract from the Venetian Senate as a professor of surgery, with teaching duties in anatomy. Around 1542, Vesalius performed ventilation via a tube inserted into the trachea. This first documented endotracheal intubation, however, was only performed in animal experiments and received no further attention. In 1544 Vesalius traveled to Pisa, after he had committed himself to Charles V as a personal physician, and held a public section there. He was also offered a teaching post at the University of Pisa, but Emperor Charles V refused to accept his appointment. Vesalius moved to Brussels and continued to write. In 1546 he published a treatise on the root of China and married in the same year. Finally, in 1564, he undertook a pilgrimage to the Holy Land, from which he never returned: During the return journey from Jerusalem he fell ill and had to go ashore. He died in Zante. He is said to have been buried by pilgrims. 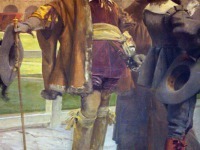 Legends of this early death connected Vesalius with the Inquisition. One year after his death became known, Hubertus Languetus wrote to the doctor Caspar Peucer that Vesalius had accidentally dissected a person alive and that he had been punished to travel to Jerusalem.